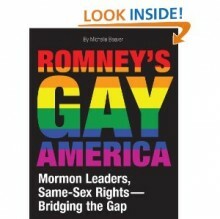 “Romney’s Gay America” predicts what a Mitt Romney presidency would mean for gay rights, offers solutions for how the Church of Jesus Christ of Latter-day Saints could better deal with homosexuality and advises that non-Mormons should accept Mormons. Posted August 5th, 2012 & filed under News, Politics. DOMA, Prop 8 defeated: What’s next for LGBT couples?